The Permutator is a product developed by Boxer Software. We know of version 1.0. Version 1.0.1 is available for free download at our site. The Permutator installation file has a size of 879,037 bytes. 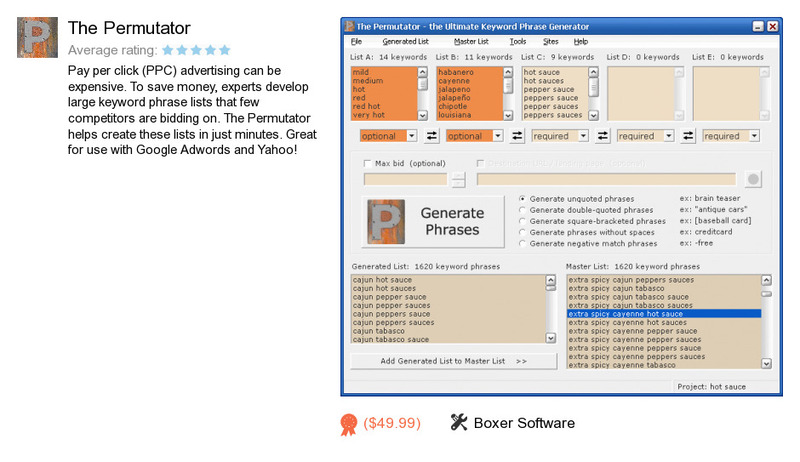 Boxer Software also publishes Boxer Text Editor and File Append and Split Tool.